Strategy Strikes Back: now in stores! Hey you! Yeah, you. Strategy Strikes Back: How Star Wars Explains Modern Military Conflict is now in stores! You can get a copy of your very own. I particularly recommend it if you a) like Star Wars and b) like astute commentary on modern military conflict. This book has both! You can buy it directly from the University of Nebraska Press, Amazon.com, Barnes & Noble, or from your independent bookstore. I remember the moment very clearly: I was with my friend Erica at a writer's conference in 2001, when we learned that Douglas Adams had passed away. It was the first time I was really struck that an author I enjoyed would no longer write something, and we both commiserated over the book that really really loved: Hitchhiker's Guide to the Galaxy. I read this book a number of times over the years, and I've always been struck at how *funny* it is. It's remained so in that time, and one of the things I was later surprised at was how the book came to be. It's alternatively been a radio show, audio drama, novel, television series and movie, and remained ridiculously popular throughout the whole time. I'll even admit that I enjoyed the filmed version. The Ultimate Hitchhiker's Guide: Complete and Unabridged by Douglas Adams. I don't know what happened to my original paperback copy, but my wife owns the omnibus edition, which has a very good introduction by Adams, which provides some good details about how the story came to be. Don't Panic: The Official Hitchhiker's Guide to the Galaxy Companion by Neil Gaiman. Interestingly, Neil Gaiman wrote a guide to Hitchhiker's Guide. This isn't a great source most of the time: Gaiman assumes that you've read other texts, such as Webb's biography, and there's a weird apologetic "This has been covered elsewhere" attitude throughout some of it, but there's some interesting details that come out about the creative process. Wish You Were Here: The Official Biography of Douglas Adams by Nick Webb. Nick Webb, who originally commission the novel, wrote the official biography after Adams' death, and it's full of details, interesting facts about Adams' life. Last column, I wrote about Jack Williamson, and in doing so, I came across another name frequently: A. Merritt. Merritt was an pulp author in the early days of science fiction, and was highly influential to a number of other authors. His career as a journalist and his numerous short stories helped to reinforce some of the character of science fiction: he helped to establish speculative fiction as a genre, not through his imagination, but through his presentation of his characters and scenarios. This is a distinction that I feel is important: it's a characteristic that most science fiction stories hold to. Plus, I love that cover up above. It's wonderful. Read A. Merritt and Plausible Science Fiction over on Kirkus Reviews. Time Machines: The Story of the Science-Fiction Pulp Magazines from the Beginning to 1950, Mike Ashley. Ashley has some good contextual information here, and Merritt shows up a couple of times. Partners in Wonder: Women and the Birth of Science Fiction, 1926-1965, Eric Leif Davin. Merritt shows up a couple of times here, as he was influenced heavily by Francis Stevens. A. Merritt: Reflections in the Moon Pool, Sam Moskowitz. This is a longer biography of Merritt's life, authored by genre historian Sam Moskowitz. There's historiographic issues with Moskowitz's writing (he rarely cites sources and relies on ancedotes), but there seems to be some decent information here, as well as some good commentary. Merritt, A. The Encyclopedia of Science Fiction has some good information here about Merritt's life and career. While I've written about books and magazines for this column, there's other mediums where science fiction lives: television and film. I haven't talked about that much for the column (given that Kirkus Reviews is primarily a book magazine), but there's some fascinating times when they've crossed over. One such case is one of the first science fiction television shows, which caught my interest based on the authors who wrote for it: Asimov, Clarke, Vance, and others. The show was Captain Video and his Video Rangers, and it's a neat program that forms a solid branch from the literature world to the television world, helping to bring about other major television shows that followed. [archiveorg id=captainvideo width=640 height=480] Go read Captain Video and his Science Fiction Authors over on Kirkus Reviews. The World of Science Fiction, 1926-1976: The History of the Subculture, Lester Del Rey. Del Rey mentions this show in passing, and how it related to the early TV world at the time. Thomas M. Disch. Disch also mentions this in passing, and notes that it's a forerunner to some of the early TV shows. Arthur C. Clarke: The Authorized Biography, by Neil McAleer. There's some great quotes in here from Clarke's experience working on the show, as well as quotes from the producer, Druce. Hugo Gernsback: A Man Well Ahead of His Time, edited by Larry Steckler. This fannish (read, meh) biography of Gernsback provides some good context for SF as a technological phenomenon. The Forgotten Network: DuMont and the Birth of American Television, David Weinstein. This book has some fantastic information about the DuMont network and particularly, some great details about the TV show and the behind the scenes work, although not much about the authors. Captain Video and his Video Ranger, Museum of Broadcast Communications. This entry on the MBC's website is a nice overview of the Captain Video television show. Captain Video. The Encyclopedia of Science Fiction has a solid entry on the show and its place in genre history. Captain Video and His Video Rangers. I hate to admit it, but Wikipedia was fairly helpful here, pointing me to several places and giving me some people to look up. Since its early days, Science Fiction and Fantasy has told astonishing stories, but you couldn't always find them in a bookstore, or even as a single novel. The genre has seen many changes over the years, beginning with the magazine before the rise of a bound novel, and now, the introduction of the eBook. The pioneering SF novels weren’t released at once, but in a serialized format. Now, that might be returning. In the early 1900s, magazines reigned supreme in the United States. One author, a destitute Edgar Rice Burroughs, in a magazine market with fiction of such poor quality, he could write something just as entertaining and just as bad. 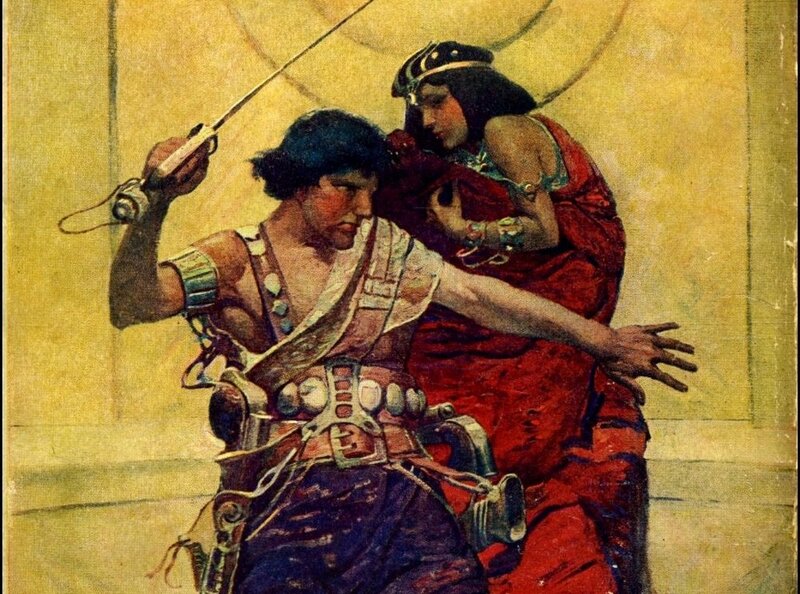 He was enormously successful with it: his first serialized stories created iconic characters and story lines, such as John Carter and Tarzan in the early 1910s, and continued for decades. Shortly after the serialization of his stories, he was able to quickly put his serialized stories back together into a single volume: Tarzan of the Apes was published in 1914, and A Princess of Marswas published in 1917. He eventually published dozens of follow-up novels. Other authors, such as E.E. ‘Doc’ Smith, followed suit, writing up his stories, and splitting them up for the magazine market, and eventually publishing them as a single, cohesive novel. Smith, considered the founder of the Space Opera subgenre, wrote long, episodic space epics which were well suited for the pulp magazines. His first serialized series, Skylark, was assembled in 1946 with The Skylark of Space. Another was collected in 1947 as Spacehounds of IPC, while his next major series, the Lensmen, was serialized in Amazing Stories in 1934, eventually published as novel,Triplanetary, in 1948, with a number of sequels. The first major stage existed without a dedicated market for novels, and as a result, authors found ways to get their stories published, helping to set up the demand for standalone science fiction novels. As the market for novels grew, authors began putting their short stories together into books of their own, in a type of story known as the ‘Fix-up’ novel. One notable story, A.E. van Vogt’s, The Black Destroyer saw publication the seminal July 1939 issue of Astounding Magazine. The story was the first part of what would be an early example of a ‘Fix Up’ novel, where several stories, not all of which were necessarily related, were re-edited and assembled into a single story. Three other short stories by Vogt, War of Nerves, published in May 1950 in Other Worlds Magazine, Discord in Scarlet, published in the December 1939 issue of Astounding Magazine, and M33 in Andromeda, appeared in the August 1943 issue of Astounding Magazine came together in 1950 to formThe Voyage of the Space Beagle. Other novels followed in similar fashion: in the same year, Ray Bradbury’s acclaimed novel,The Martian Chronicles, contained almost 30 short stories, some of which had first appeared with the novel’s publication. Another notable book, Isaac Asimov’s collection, I, Robot, features ten short stories, all centered around Asimov’s Three Laws of Robotics. 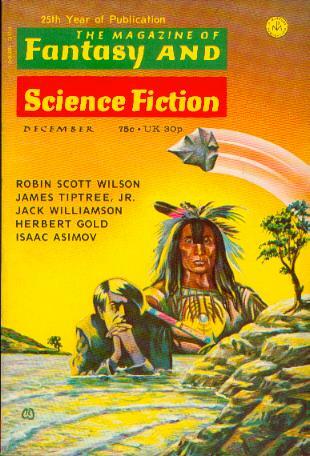 Asimov would return for another collected novel, Foundation, considered his greatest work, assembled from four stories, Foundation, Bridle andSaddle, The Wedge and The Bigand the Little, all published in Astounding Magazine between 1942 and 1944, with a fifth, The Psychohistorians, written specifically for the novel. 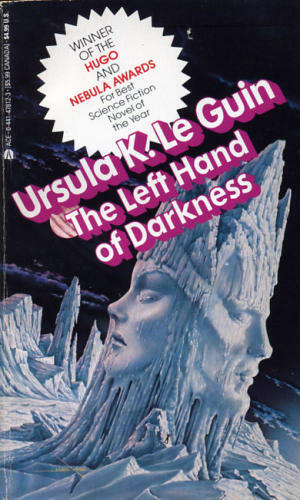 The serialized novel was a popular format for authors for a couple of reasons: the science fiction market was mainly focused around the short fiction and magazine scene, and the successful authors were writing numerous stories for publication, leaving plenty of material for larger stories. Additionally, there was a much smaller market for standalone novels: full time authors, who depended upon the small paychecks that they received from magazines, found this a harder market to break into. In the mid 1930s, publishers had begun to experiment with cheaper, mass produced books. In 1935, Penguin Books founder Allen Lane found himself looking for something to read at a train station, only finding cheap magazines. He wanted a cheap, high quality paperback, and within the year, a publishing experiment had begun: Penguin began selling their classic novels, and was immediately successful. The success spread: in 1939, Simon & Schuster introduced Pocket Books. The world had been introduced to the mass-market paperback, a new format for books. Serialized fiction continued: while science fiction magazine markets did decline, they didn’t vanish, and authors continued to find success with longer stories that were eventually republished in a single volume. A number of notable SF novels found their way to print in this fashion: Walter M. Miller Jr.’s A Canticle for Leibowitz was published in 1960, which had originally appeared in The Magazine of Fantasy and Science Fiction. Joe Haldeman’sThe Forever War was originally serialized in Analog Magazine (formerly Astounding), and Stephen King’s famous novel The Gunslinger were put together from various stories published between 1978 and 1981 in The Magazine of Fantasy and Science Fiction. As the magazine markets faded over the course of the century, the market for novels grew, aided by changing tastes in literature, and by the 1990s, fewer stories were published first in magazines before being published in a regular novel. However, a number of notable stories have followed this historical route to the bookstore. King would later have enormous success with another serialized novel: The Green Mile, which was first published in six smaller volumes beginning monthly in March 1996, before being published as a single volume in 1997. The unique publication method earned King the title of the first author to place 6 novels on the best seller list at the same time. Allen M. Steele’s novel Coyote: A Novel of Interstellar Exploration was initially published as a serialized novel in Asimov’s, beginning in the January 2002 issue, with Stealing Alabama, and continued with The Days Between, Coming to Coyote, Liberty Journals, Across the Eastern Divide, Lonesomeand a Long Way From Home and Glorious Destiny, with the final book published together at the end of the year. A sequel, Coyote Rising, continued the story in 2004, and a third book, Coyote Frontier was written as a single novel, but wasn’t serialized. Another author, Charles Stross, published his novel Accelerando in 2005, which was put together from a collection of stories from Asimovs between 2001 and 2004: Lobsters, Troubador, Tourist, Halo, Router, Nightfall, Curator, Elector and Survivor. The novel would eventually be nominated for the Hugo, Campbell, Clarke, and British Science Fiction Association Awards, and won the 2006 Locus Award for Best Science Fiction Novel. By this time, fewer stories seem to be Fix Up novels, although there are exceptions to this rule: Will McIntosh’s debut novel came together out of three of his short stories set in the same world: Soft Apocalypse, Street Hero and Dada Jihad. McIntosh noted that when the time came to write a novel, he found that the three formed the core of a connected story. The final version, bearing the title Soft Apocalypse, was released in 2011. The major change has come with the rise of the eBook market. As the print magazine market has declined, the publishing world has moved into unknown territory. With eBook sales doing well, but conventional, mass market novels declining, it’s clear that we’re in the midst of a major shift in the landscape. Where publishers were limited by the physical limitations of books, online booksellers have found an unprecedented ability to market and publish fiction of all lengths: where novellas and novelettes might have only been found from specialty publishers, websites such as Amazon.com, and online Magazines such as Clarkesworld, Strange Horizons and Lightspeed have the ability to publish a wide range of stories of all lengths. In 2013, author John Scalzi began a new experiment in publishing with a serialized novel called The Human Division. Taking advantage of both electronic, audio and print media and distribution, the latest addition to the Old Man’s War universe was serialized through e-retailers with an episode a week, beginning in January. The model for these thirteen stories appears more along the lines of a television show than that of a magazine, and a completed version will be collected in a hardcover volume set for release in May 2013. With the rise of eBooks, tablet computers, eReaders and smartphones, it’s going to be interesting to watch how the publishing world will change and adapt to new reading habits. Throughout the history of the science fiction field, it’s clear that change has been a constant and continuing factor in how readers receive their entertainment: from weekly and monthly magazines to assembled novels to electronic experiments, the serialized novel has had a constant presence on readers bookshelves, and from all appearances, will remain there for years to come. My latest post is up on Kirkus Reviews, this time pulling back from the trenches and looking at what my boss calls the 20,000 foot strategic picture. Throughout the column, I've largely looked at authors who've shifted the genre from point to point, but over time, I've started getting interested in the larger forces at play: the publishers and reading habits of Americans. As I work towards putting these columns towards a book, I've begun looking at some of the other influences outside of the arts world that have shaped SF. One notable example of this is the actual medium in which people are reading. SF is a neat example of this, going from Dime Store novel to pulp magazine to mass market paperback / hardcover book, and now, to eBooks. A while back, I went to a talk where the speakers described government and rules as the sort of software that makes society run in a particular way: in many ways, it's a technology in and of itself. By the same token, these invisible systems that we construct - logistics, education, and science, are examples of this sort of technology: it's not just the gadgets that we construct, but the way we make people live in a society that isn't a hunter-gatherer one. The paperback novel is one example of a technological innovation that really changed a lot in the publishing world: it not only changed how people began to read stories, but how they were produced in the first place. Authors had to shift their habits, but also the very types of stories which they had begun to write. Thus, the science fiction of the 1930s is vastly different in style, structure and content than that of the 1970s. It's an interesting thing to examine. This is the first part of two columns: the next is going to look at another major element that we might not think of often when it comes to the writing of books: chain and super bookstores. Go Read The Rise of the Paperback Novel over on Kirkus Reviews. Two-Bit Culture: The Paperbacking of America, Kenneth C. Davis. This is *the* book to read if you want to read about how paperback books came into being, in a great amount of detail. This is an excellent read, although my copy has been falling apart. The Time of Their Lives: The Golden Age of Great American Publishers, Their Editors and Authors, Al Silverman. This is a memoir from a major publisher, and he provides some interesting details into the workings of that world. Merchants of Culture: The Publishing Business in the Twenty-First Century, Second Edition, John B. Thompson. This is a new-ish book on the publishing industry, and it provided some excellent overviews on the broad history of the book and how it has been sold. Publishers Gave Away 122,951,031 Books During World War II, By Yoni Appelbaum. This is a nice overview of the Armed Forces Edition series of books, which I think is one of the major influences in the development of the publishing industry. If I were writing my master's capstone, this would have been the topic I'd focus on. Pulp’s Big Moment, How Emily Brontë met Mickey Spillane, Louis Menand. This article from the New Yorker has been passed around quite a bit, and it's an interesting (although according to a couple of people I spoke with, slightly flawed). Still, it makes some excellent observations about how the paperback's success was logistical, rather than by being inexpensive. How Paperbacks Transformed the Way Americans Read, Andrew Shaffer. This is another oft-shared article about reading. It makes a number of the same assertions about logistics over cost, and it's an excellent read. Huge thanks for Betsy Wollheim and David G. Hartwell for their input. 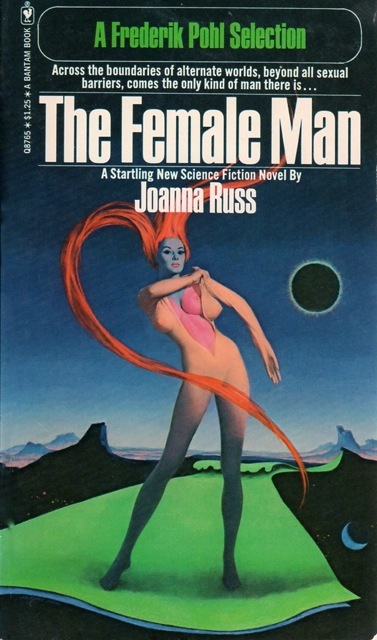 Joanna Russ wasn't an author I came across when I first came across science fiction: she was someone that I slowly became aware of more recently, when I started working at this on a more professional and critical level. Part of this came from friends who were interested and researching her, and over the last couple of years, I've gained an appreciation for the few works that I have read. What I find most interesting is her relationship with the genre: many of the arguments she put forward back in the 1960s/70s/80s still hold true today, and if anything, they're even more relevant. For me, Russ makes a lot of sense, and her arguments not only apply towards better representations of men and women in science fiction, but make an excellent argument for simple innovation in writing science fiction. I can see why she was frustrated, and why she was angry. Go read The Radical Joanna Russ over on Kirkus Reviews. Science Fiction Culture, Camille Bacon-Smith. This is a book that I think I need to pick up for my own library at some point: it's a very interesting survey of SF literature. Science Fiction Writers, Second Edition, Richard Bleiler. Solid biographical sketch of Russ here. The Jewel-Hinged Jaw: Essays on Science Fiction, Samuel R. Delany. Delany has a short essay on Russ's Alyx stories, and it's a good one. The Dreams Our Stuff is Made Of: How Science Fiction Conquered the World, Thomas Disch. My feelings on Disch's book is complicated: it feels a bit argumentative at points, but he has some interesting insights into Russ fit with other contemporaries during the 1970s. Across The Wounded Galaxies: Interviews with Contemporary American Science Fiction Writers, Larry McCaffery. McCaffery has an excellent oral history interview with Russ, which provided me with a wealth of information, but some good ways to look at science fiction as well. We Wuz Pushed: On Joanna Russ and Radical Truth-Telling, Brit Mandelo. Brit's a friend of mine, and I've been wanting to read this for a while now. She's become a good expert on Russ through this book and her column on Tor.com. The History of Science Fiction, Adam Roberts. Roberts devotes a good amount of space to Russ in this book, placing her in some good context with her peers. NY Times Obituary: This obit has a number of good, critical details of Russ's life. Joanna Russ Biography: This was particularly helpful figuring out where she worked, year to year. Russ, Joanna: Clute has a short, insightful biographical sketch of Russ here. Joanna Russ (1937-2011): Locus's obituary, which provided some minor details. Science Fiction publishing is full of strange characters, but there's one story that seems to really capture people's attention consistently: James Tiptree Jr., a brilliant figure who seemed to appear out of nowhere, earn a number of awards, and maintained a fairly elusive personality in science fiction circles. It wasn't until a decade of writing that it was revealed that Tiptree wasn't actually a guy: it was a woman named Alice Sheldon, with an utterly fascinating background: she had traveled the world, participated in the Second World War, worked for the CIA and had a PhD. Sheldon proves to be an interesting figure, challenging a number of preconceptions for gender in science fiction (not just with her alter ego). What's interesting about Sheldon is that she endured and wrote about a number of the same issues that we seem to face in science fiction right now: how are women represented in fiction and how are female authors treated differently than their male counterparts? Sheldon's story is illuminating when it comes to this. This post comes at a sort of weird time, as blogger Requires Hate was revealed as Benjanun Sriduangkaew: The revelation comes as one personality is drastically different from that of the other, and there's been a lot of discussion around that topic. The Tiptree/Sheldon situation is vastly different, but it is interesting to see just how people use pen names. There's a number of women who have resorted to the practice: C.L. Moore, Andre Norton and others, with each rationalizing their use differently. Moore, for example, was worried about her employer finding out and firing her (he wasn't a fan of the pulp magazines). Sheldon wanted to compartmentalize her professional academic and writing lives. Others wanted to make sure that they were actually considered for publication - for good reason. Go read The Slow Unveiling of James Tiptree Jr. over on Kirkus Reviews. Transformations: The Story of Science Fiction Magazines from 1950 to 1970, Mike Ashley: Ashley has a couple of insights into Tiptree's early stories. Gateways to Forever: The Story of Science-Fiction Magazines from 1970-1980. Ashley devotes more space to Tiptree in this volume. Decoding Gender in Science Fiction, Brian Attebery. Tiptree pops up quite a bit in here, with some good analysis on his stories. Science Fiction Writers, Second Edition, Richard Bleiler. There's a pretty comprehensive biographical sketch of Tiptree in this book. Partners in Wonder: Women and the Birth of Science Fiction 1926-1965, by Eric Leif Davin: This book is a detailed study of women in science fiction, but largely before Tiptree's entry into the genre. However, Tiptree pops up quite a bit. Reload: Rethinking Women + Cyberculture, edited by Mary Flanagan + Austin Booth. This mixed fiction and critical theory anthology has one of Tiptree's stories in it: The Girl Who Was Plugged In, which is a fantastic read. Sci-Fi Chronicles: A Visual History of the Galaxy's Greatest Science Fiction, Guy Haley. Alice Sheldon has a great entry in this neat book. The Battle Of The Sexes in Science Fiction, Justine Larbalestier: Larbalestier looks at a number of Tiptree's prominent stories. Daughters of Earth: Feminist Science Fiction in the Twentieth Century, Justine Larbalestier. Larbalestier edits this volume, and it has one of Tiptree's stories (And I Awoke and Found Me Here On The Cold Hillside), along with some analysis by Wendy Pearson. Across the Wounded Galaxies: Interviews with Contemporary American Science Fiction Writers, Larry McCaffery. Tiptree/Sheldon doesn't have an interview in here, but there is a good interview with Joanna Russ, who provides some good contextual information. James Tiptree Jr.: The Double Life of Alice B. Sheldon, Julie Philips: This is the definitive biography of Sheldon and her personal. My post is a pale reflection of what's in this book, and I highly recommend this detailed, interesting and outstanding biography. The History of Science Fiction, Adam Roberts: Roberts devotes some good details about Tiptree's place in the SF genre. When I was in High School, I devoured Ender's Game and Starship Troopers, but it wasn't until I'd left graduate school that someone forced me to read The Forever War. When I did, I sort of missed the point of the book, and going back to it recently with this research, I'm finding that it's a book that's growing for me each time I read it. It's certainly one of the best SF novels that I've ever read. I've interviewed Joe several times already, and we included him in War Stories, with his story Graves leading off the TOC. Going back and looking at how his book was written has been something I've wanted to do for a while now, and after writing up this column, I have to say, I need to give the book another read to fully appreciate it, I think. Go read Joe Haldeman's Forever War over on Kirkus Reviews. Trillion Year Spree: The History of Science Fiction, Brian Aldiss. Aldiss has some interesting points to make here about TFW and its placement in genre literature. Gateways to Forever: The Story of the Science-Fiction Magazines from 1970 to 1980, Mike Ashley. Ashley notes where Haldeman began writing and where he was able to first publish his stories. Science Fiction Writers Second Edition, Richard Bleiler. Blieler has a good biographical sketch of Haldeman in this edition. The Forever War, Joe Haldeman. Haldeman himself has some things to say about his own book. My 1991 edition has a good author forward. Sci-Fi Chronicles: A Visual History of the Galaxy's Greatest Science Fiction, Guy Haley. This recently released book isn't terribly academic, but it has a page devoted to Haldeman (written by Damien Walter). Overall, it's a really neat, (dense) book with a TON of material. Good for flipping through. Survey of Science Fiction Literature, vol 2, Frank Magill. Magill has a solid review of TFW in volume 2. Robert A. Heinlein: In Dialogue with His Century, Vol. 2- The Man Who Learned Better, 1948-1988, William H. Patterson Jr. Patterson talks about Heinlein's interactions with Haldeman in 1975 here. Fights of Fancy: Armed Conflict in Science Fiction and Fantasy, edited by George Slusser and Eric Rabkin. There's a fantastic essay from Haldeman called Vietnam and other Alien Worlds, which is well worth reading. (Here's a good source online. Interim Report: An Autobiographical Ramble by Joe Haldeman. This is a fantastic autobiography from Joe, which provides some extremely helpful details about his life. Many, many thanks to Joe Haldeman himself, who agreed to be interviewed for this. I'll post up our conversation at some point in the near future. One of my favorite books is easily A Wrinkle in Time, by Madeleine L'Engle. I can't remember when I first read it, but when I went back to it a couple of years ago, I was struck by its prose and outstanding story. What's more astonishing is that it was rejected dozens of times from publishers, before going on to win one of the major awards for YA literature. Moreover, it's still highly relevant to any teenager or young reader today. 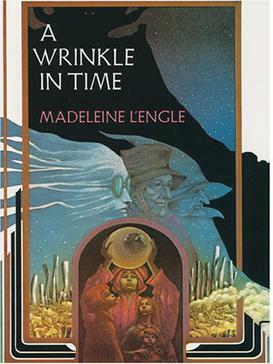 Go read Madeleine L'Engle's Wrinkle in Time over on Kirkus Reviews. Madeleine L'Engle Herself: Reflections on a Writing Life, Madeleine L'Engle. This was a moderately useful book, as it contained some biographical elements. Listening for Madeleine: A Portrait of Madeleine L'Engle in Many Voices, Leonard Marcus. This is an astounding book, and I wish that each one of the authors that I've looked at had something similar. It's an entire book of oral histories, conducted with people who worked with or who were close with L'Engle. It's a fantastic source. Madeleine L'Engle: Short biographical sketch from the National Endowment for the Humanities. The Storyteller: Fact, fiction, and the books of Madeleine L’Engle. This is a fantastic article on the life of L'Engle, and Zarin does a great job parsing out the complexity of her character. It's well worth a read. Obituary. L'Engle's obituary from the New York Times, which provides some interesting details about her life. L'Engle, Madeleine. Biographical entry from the Encyclopedia of Science Fiction. ALA's Banned Books Page. The American Library Association's home page for their Banned Books week, which includes links to the lists of books that are frequently challenged and banned. A couple of years ago, I picked up a book to review for SF Signal, looking for something different. That book was Roadside Picnic, by Arkady and Boris Strugatsky, and it turned out to be one of those books that quietly never quite left my head. Thinking about Roadside Picnic and its authors, as well as our last column on Stanislaw Lem, we get a good starting point for examining how science fiction developed outside of the United States. Given that a lot of SF has been published here in the US, we appear to be a leader in the genre, for better or worse. 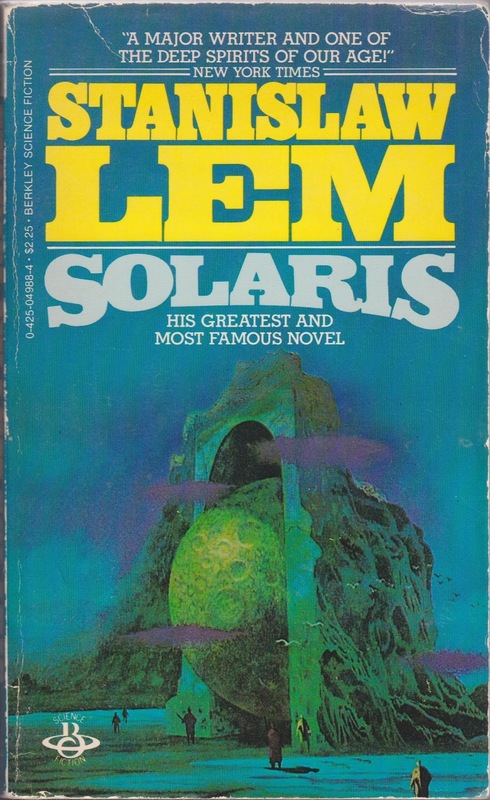 At the same time, we forget, ignore or simply don't realize that authors such as Lem and the Strugatskys were as big as the giants in the United States: on par with Bradbury, Asimov or Heinlein. Examining their publishing experiences and approaches to the genre is good to highlight the limits and potential of genre, but also where US authors and fans tend to put on blinders for the world around them. As awareness of foreign SF grows (see Clarksworld's Chinese SF project, funding now), it's important to realize that a) this isn't a new phenomenon, and b) SF isn't limited to the United States and England. On top of all that, go read Roadside Picnic. It's a phenomenal book. Go read Arkady and Boris Strugatsky's Roadside Picnic over on Kirkus Reviews. Russian Experimental Fiction: Resisting Ideology after Utopia, Edith Clowes. This is a particularly detailed volume on Russian literature, and partiularly looks at the science fiction's complicated relationship with utopian fiction and their own country's political history. This particular book looks at how the Strugatsky's works fit into this. Science Fiction after 1900: From the Steam Man to the Stars, Brooks Landon. Landon discusses the brothers at length, with a fairly good analysis of their works. Survey of Science Fiction Literature, Frank Magill. There's an excellent review of Roadside Picnic here. Soviet Fiction Since Stalin: Science, Politics and Literature, Rosalind J. Marsh. This book has a good look at works of the brothers. The Strugatsky Brothers, Stephen Potts. This is a short book, but a good overview of the brother's works and career. The History of Science Fiction, Adam Roberts. Roberts has a couple of paragraphs of the brother's career and how it fits into a bigger picture. Critical Encounters II: Writers and Themes in Science Fiction, edited by Robert Staicar. There's an excellent essay about the brothers here. Roadside Picnic, Arkady and Boris Strugatsky. This was my introduction to the brothers: the 2012 translation, which threw me at first, then drew me in completely. It's a Weird book, while also a Hard SF one at the same time. It still sticks in my mind, years after reading it. Ursula K. Le Guin opens the book, while Boris provided an afterword. SF Encyclopedia. As always, the SF Encyclopedia has a good, comprehensive entry on the subject, particularly when it comes to their placement in the genre. I hate to do it, but I had to rely a bit on Wikipedia's entry for the brothers, which provided some minor details, although I tried to rely on entries that were backed up with sources. I'll have to confess that I read Neuromancer only a couple of years ago, and at the time, didn't understand what all the fuss was about. It was a book about computers, written before computers were really a thing. The strange thing about William Gibson's fantastic novel is it's staying power and how it's positively brimming with fresh ideas in a genre gone stale by the early 1980s. Going back to re-read Gibson's works (especially in Burning Chrome), I'm shocked at how vibrant and raw his writing is. Neuromancer is one of the more important books to enter the genre, and as it celebrates its third decade in print, it's an interesting one to go back and look upon and to understand just how revolutionary the title was at the time. Go read 30 Years of William Gibson's Neuromancer over on Kirkus Reviews. Across the Wounded Galaxies: Interviews with Contemporary American Science Fiction Authors, Larry McCaffrey. There's a fantastic interview with Gibson in this book, which provided some keen insights into the development of Neuromancer. It's also online here. The History of Science Fiction, Adam Roberts. 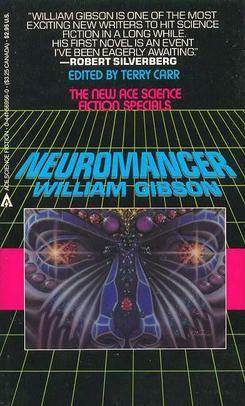 Roberts devotes several pages to Neuromancer and Gibson's influence, providing some key insights into how Neuromancer came together. William Gibson: the man who saw tomorrow, The Guardian. Good article on the legacy of Neuromancer, 30 years later. Gibson, William, Encyclopedia of Science Fiction. As always, the EoSF is particuarly helpful in showing Gibson in the greater SF context. Since 1948, William Gibson. An autobiographical sketch from Gibson about his early days. William Gibson on The Stars My Destination, Library of America. Here, Gibson writes glowingly about The Stars My Destination and how they were a bit of an influence. Blog Archives. There's an entry in here about some dates around Neuromancer, which were helpful here. William Gibson, The Art of Fiction No. 211, Paris Review. This is a fantastic, detailed interview with Gibson about his life and legacy. One of the first major SF novels that I picked up was Dune. Something about the copy at the library was striking: a figure against a desert. I tore into it and to this day, I can still visualize various parts of the book. It got me thinking about science fiction in ways that I hadn't before, and I still count it as one of my favorite books. I've never read the sequels: I never wanted to be disappointed or let down by the other novels (much like I've never read the 2nd and 3rd installments of the Ringworld and Foundation trilogies). I read Dreamer of Dune a number of years ago, and reading through it again to source this article, I was surprised at how much of an unlikable person Herbert was - he seemed to have a number of character flaws that made him cranky, angry and generally in trouble with the IRS. At the same time, it's interesting to see just how big of a hill he had to climb to reach the heights he achieved over the course of a career. It's a bit of a shame that he didn't live long enough to really enjoy it or continue his series by himself. Go read Frank Herbert's Epic Dune Series over on Kirkus Reviews. Dreamer of Dune: The Biography of Frank Herbert, Brian Herbert. I read this a number of years ago, and reading it again, this is a really painful book to read. It's disorganized, not terribly well written, and not critical in any sense of the imagination. However, it did provide a number of details into when and how Herbert went about writing. Frank Herbert, Timothy O'Reilly. This is an early biography of Herbert published in 1981, and it provides some outstanding detail to Herbert and his work. The History of Science Fiction, by Adam Roberts. Roberts' text, as always, is a helpful book for figuring out the context for Dune in the grand scheme of things, and provides some excellent information on the literary side. Frank Herbret, William F. Touponce. This text mainly analysis the literary elements of Herbert's books (most of them), and it's a useful resource here. Frank Herbert's 'Dune' holds timely - and timeless - appeal, Scott Timberg - This provides some thumbnail information, as well as a great quote from Kim Stanley Robinson. Frank Herbert, The Dune Man (Part 1) / (Part 2), Frederik Pohl - Pohl has two remembrances of Herbert, both of which are excellent. It's also worth mentioning that Jodorosky's Dune is a phenomenal documentary that you should see if you have any interest in Dune. 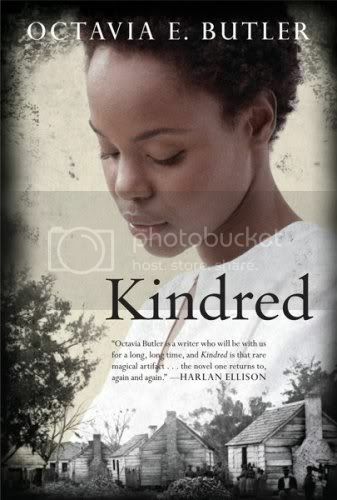 For years, I've had friends tell me that I should be reading Octavia Butler's works, especially Kindred. I actually own a copy, and it's been sitting on my shelves for years, waiting for me to pick it up. When it came to the point where I'd start writing about the 1970s, it was pretty clear that Butler would be one of the authors that I'd be covering, and I picked up the book as part of my research. She's a powerful author, and I'm a little sad that I didn't read the book earlier. Researching Butler's life is fascinating, and it's becoming clear to me that some of the genre's most important works emerge from outside of it's walls. Go read Octavia E. Butler: Expanding Science Fiction’s Horizons over on Kirkus Reviews. Book Sources to come - I don't have them on hand at the moment. Many thanks as well to Steven Barnes, Ann Leckie and Gerry Canavan for their input for this. Ringworld is a novel that's always stuck with me. I picked it up alongside authors such as Isaac Asimov, Frank Herbert, Robert Heinlein, and other authors from that point in time. Foundation and Dune are two books that are among my favorites, but Ringworld has long been the best of the lot. It's vivid, funny, exciting and so forth. Reading it again recently in preparation for this column, I was astounded at how well it's held up (as opposed to Foundation) in the years since it's publication, and I can't wait to read it again. Plus, that cover is just beautiful. Go read Larry Niven's Ringworld and Known Space Stories over on Kirkus Reviews. Trillion Year Spree: History of Science Fiction, by Brian Aldiss. Aldiss's book has some good context for Niven's rise, as well as the impact of his books. Gateway to Forever: The story of the Science-Fiction Magazines from 1970 to 1980, by Mike Ashley. Ashley recounts some of Niven's early works in the Known Space, along with the state of magazine fiction during that time. Transformations: The Story of the Science Fiction Magazines from 1950 to 1970, by Mike Ashley. Niven's stories taper off in the 1970s, but Ashley looks over his works during that point in that time. Science Fiction Writers, 2nd Edition, Richard Bleiler. Bleiler has a biographical essay on Niven and his life in this book. Science Fiction, Today and Tomorrow, edited by Reginald Bretnor. There's some good background information on Niven's works here. The Cambridge Companion to Science Fiction, by Farah Mendlesohn and Edward James. There's some good political context for SF in the 1960s/70s here, and some solid information on Niven's works. Survey of Science Fiction Literature, vol 4. Frank Magill. Excellent review of Ringworld in this volume. Science Fiction Dialogues, edited by Gary Wolfe. There's a great essay here talking about the connections between Ringworld and the Oz books. 'Writers for Relief: An Anthology to Benefit the Survivors of Katrina' - Lincoln Daily News: There's an interesting short bio of Niven in this article, talking about a 2005 anthology, particularly his childhood. Biography - Known Space: This is a particularly detailed bio on a semi-official fan site for Larry Niven's work. Niven, Larry, Encyclopedia of Science Fiction: The SFE has a useful look at Niven's works. Larry Niven - Summary Bibliography: ISFDB was an invaluble resource this time around, as it helped me figure out where Niven had published and what stories fell under the Known Space umbrella. I rediscovered this only after I submitted my post (I commented on it way back when), but Tor.com has a great series of posts celebrating Ringworld on its 40th anniversary. Finally, many thanks to Larry Niven himself for answering my questions. Read our conversation here.